Robin Hayes, the CEO of JetBlue, joins GutwiZdom to chat about leadership, values, and customer service! JetBlue’s mission and values are so important to who they are as a company. They place an importance on investing in their people and delivering an amazing experience to their customers, which everyone can learn from! This week, we had to privilege of speaking with CEO, Robin Hayes, and we were able to ask him all about what makes JetBlue such an amazing company. Check out Robin’s insights below and listen to the episode for so much more! On your missions & values: JetBlue’s mission is to inspire humanity, both in the air and on the ground, and every crew member lives that mission. Crew members have to know the JetBlue 5 values which are safety, caring, integrity, passion, and fun! These values are so important to the company, they were created before the business plan! On your culture. Culture is everything. The JetBlue leadership team is so dedicated to living the JetBlue culture and making sure it’s an amazing place to work, that they take the time to fly out and get to know new hires at their orientation. The reason behind this is to build relationships with crew members so they are more comfortable sharing their thoughts and suggestions. On your leadership team. Leaders have to work alongside crew members, that’s how they stay in touch. If leaders don’t know what’s going on the front lines, they can’t make informed decisions. JetBlue practices servant leadership. The leadership team is there to support and remove obstacles for crew members so they can focus on what matters, helping customers. On your employees. JetBlue places an importance on investing in your people. You have to put your people at the heart of your company because you can’t provide inspiring service to customers if your employees aren’t inspired to come to work. They provide resources for crew members to learn and grow, and empower them to make decisions. 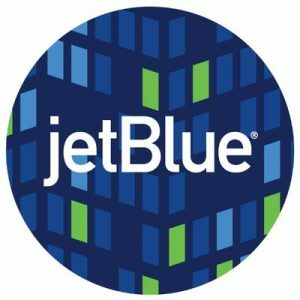 JetBlue even won Forbes' America’s Best Employers of 2016 award and Robin said this is the award they are most proud of because it comes from crew members. On your customers. JetBlue flies into communities and wants to be a part of the community. That means helping people when they most need it and being an active partner. JetBlue wants to earn every customer and they do so through their crew members. Crew members have a team spirit and competitiveness to be the best airline. They are empowered to help customers and make value based decisions. It’s all about the customer experience! On trusting your gut. Making decisions is a blend of analysis, taking the opinions of others, and going with your gut! LISTENERS: DOES YOUR COMPANY LIVE THEIR MISSION AND VALUES EVERYDAY? Send us your answer. Either leave us a voicemail at 1-646-653-9278 or send us an email. We may talk about it - or we may even talk with YOU - on the air!